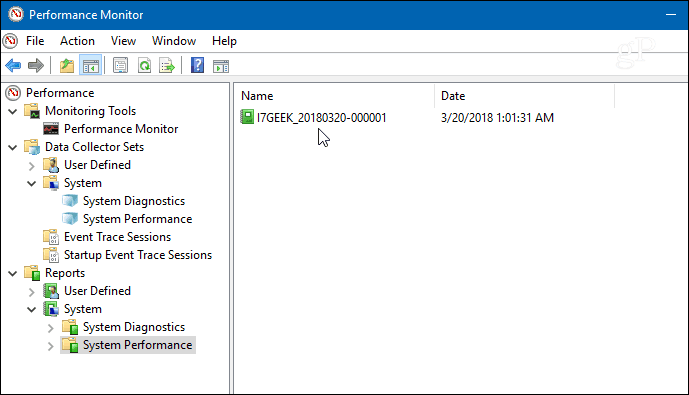 When it comes to troubleshooting a computer issue or just doing a checkup, Windows has a built-in performance report utility you can run. When it comes to troubleshooting computer issues, there are a lot of tools that you can use. And, sometimes you might want to do some preventive maintenance The built-in Performance Monitor tool is a valuable troubleshooting component that is often forgotten. The report is broken down into different categories and will provide an overall summary system processes, components, and diagnostic results. Here’s a look at where to find, run, and read your system’s report. Note: You will need to be logged in as Administrator to generate and access the report. And while this shows using Windows 10, it’s not exclusive, the report is available as part of the Performance Monitor for Windows 7, too. Read our article on how to use it to check your computer’s RAM. 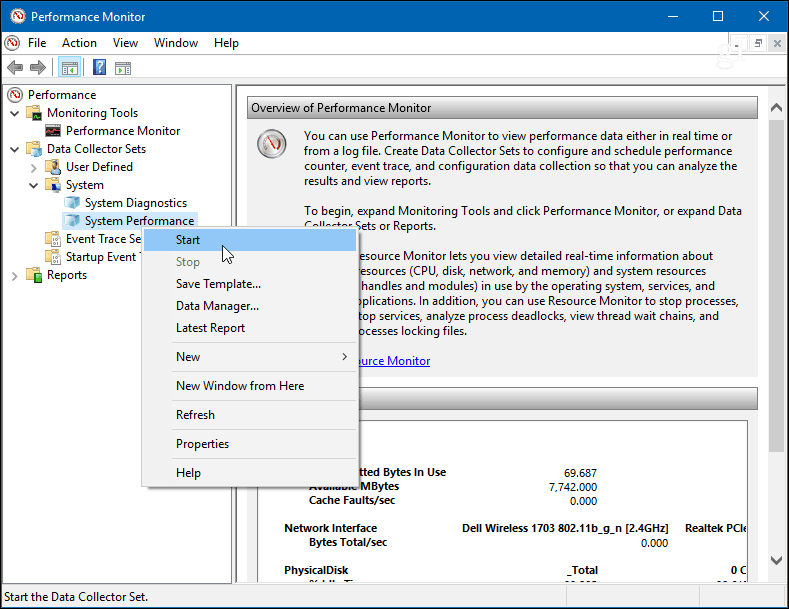 To get started, hit Windows Key + R to bring up the Run dialog box and type: perfmon and hit Enter or click OK.
From the left pane of the Performance Monitor app, expand Data Collector Sets > System > System Performance. Then right-click on System Performance and click Start. That will kick off the test in Performance Monitor. It should only take about a minute to run, but your mileage will vary depending on your system. 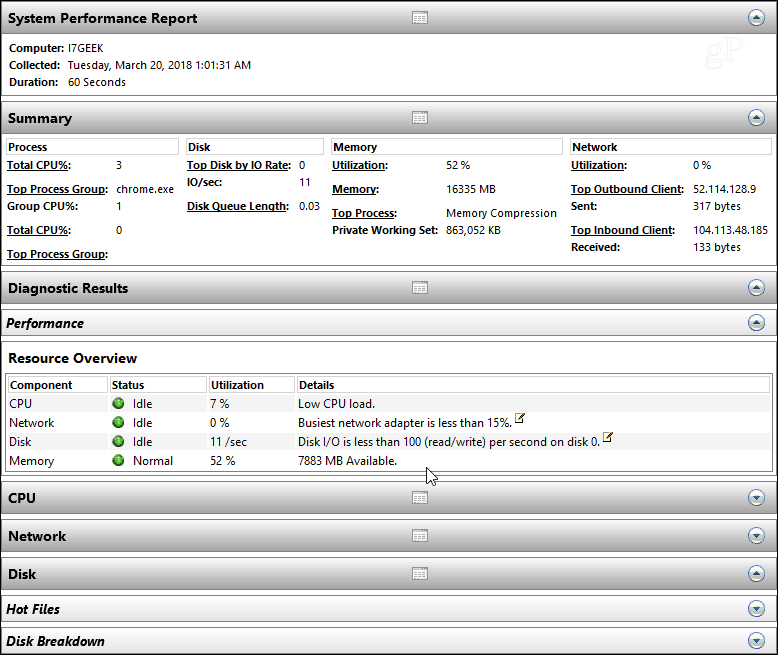 While it’s running you will see an icon next to System Performance letting you know it’s running. When it’s finished, in the left pane, head to Reports > System > System Performance. Go ahead and double-click the report to open it and you’ll find it provides an overall system summary and you can drill further down into components like Disk (local drive data), CPU, and Network. Each section is quite detailed and you can really find out a ton of information regarding all aspects of your PC. Whether you are troubleshooting a specific issue or want to do some preventive maintenance, running a System Performance report on your Windows PC is a great place to start. It’s also a good way to create a history to keep track of issues over time. There is a lot packed into the Performance Monitor tool and over the coming weeks, we’ll be taking a closer look at some of its other features like collecting custom log file data, defining alerts, generating other reports, and more. Have you run a System Performance test before? What are your favorite tools to help troubleshoot PC issues? Let us know in the comments below, or, hop in our Windows 10 Forums for additional discussions and troubleshooting advice. Thanks – or you could press the Windows key and enter Performance, select the app and it will run!